Bloomsbury House, 24 Maddox Street, London W1, Friday 21st November 2014. 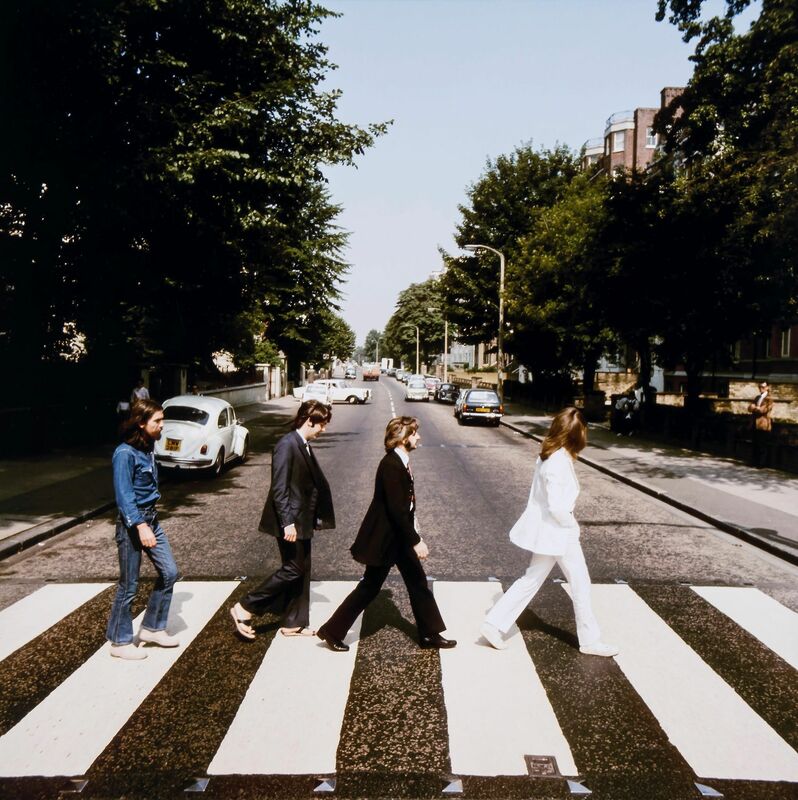 I do wonder whether the Scottish photographer Iain Macmillan (1938-2006) thought that the final cover shot for The Beatles’ Abbey Road album would become so enduringly popular. 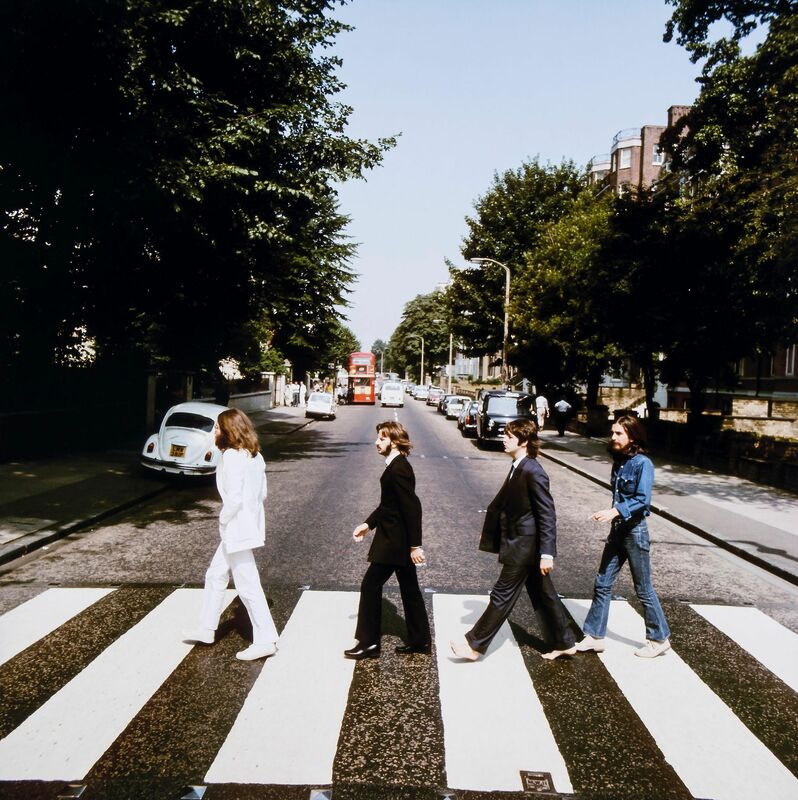 The zebra crossing used in the shots has become a major attraction for Beatles fans from around the world, so much so that it is now Grade II listed. I can assure you, living not far away, that they do and taking a photo on the crossing is almost de rigueur for visitors. 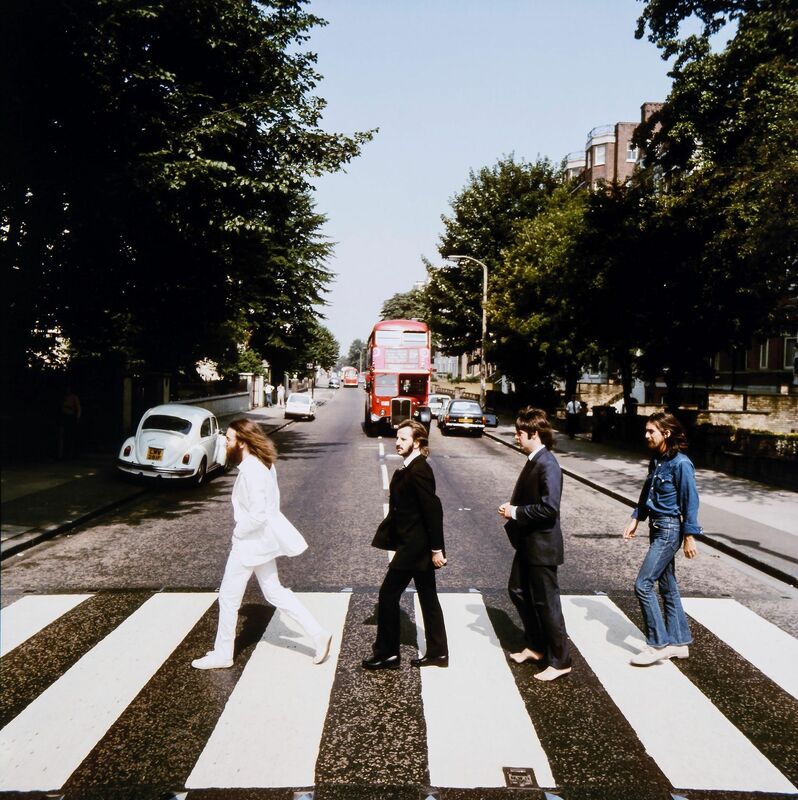 Abbey Road was The Beatles’ last recorded album and Macmillan, who was a friend of Yoko Ono and John Lennon, was asked to take possible cover shots for both the front and back covers. 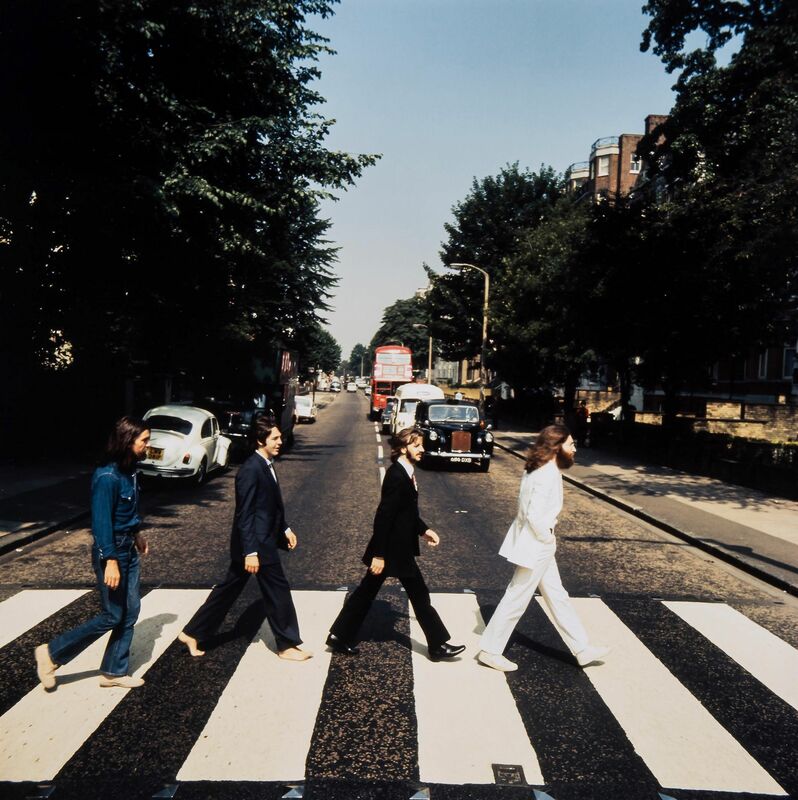 So on the 8th August 1969, the photographer climbed a ladder in the middle of Abbey Road and for the next ten minutes took six photographs of them walking back and forth over the crossing. 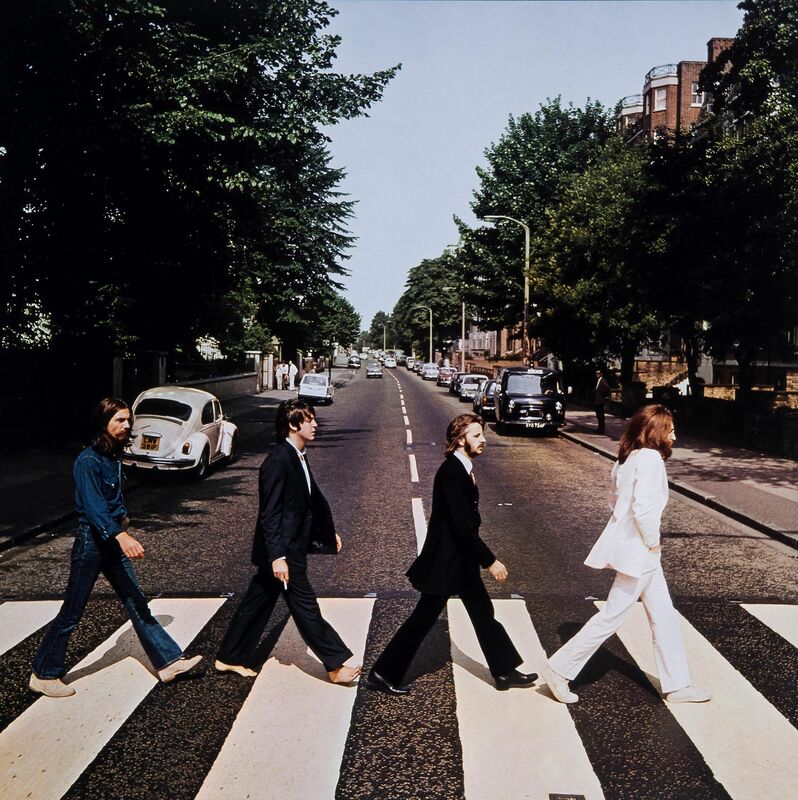 It was Paul McCartney who chose the fifth image to be the album’s cover. When taking the road sign for the back cover a young girl in a blue dress walked through the shot to the photographer’s annoyance. However as you know this became the shot used. 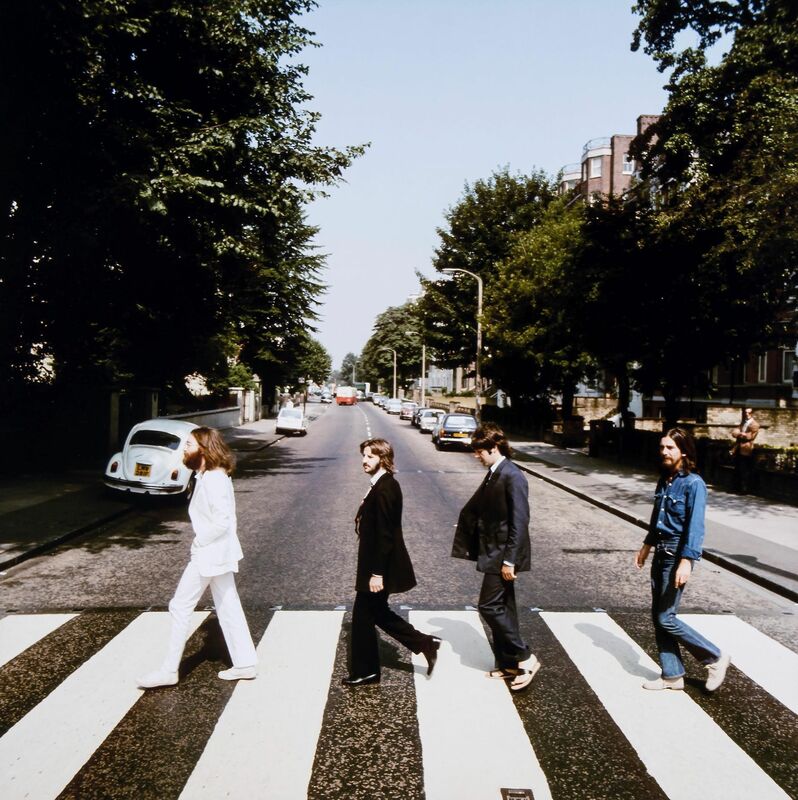 Although an individual ‘outtake’ print of The Beatles walking ‘backwards’ was sold by Bloomsbury Auctions in May 2012 for £16,000 it is thought that this is the first time that a complete signed and numbered suite of the photographs has come under the hammer. Their estimate is £50,000-£70,000 and they will be on view from the 16th November until the auction on the Friday. 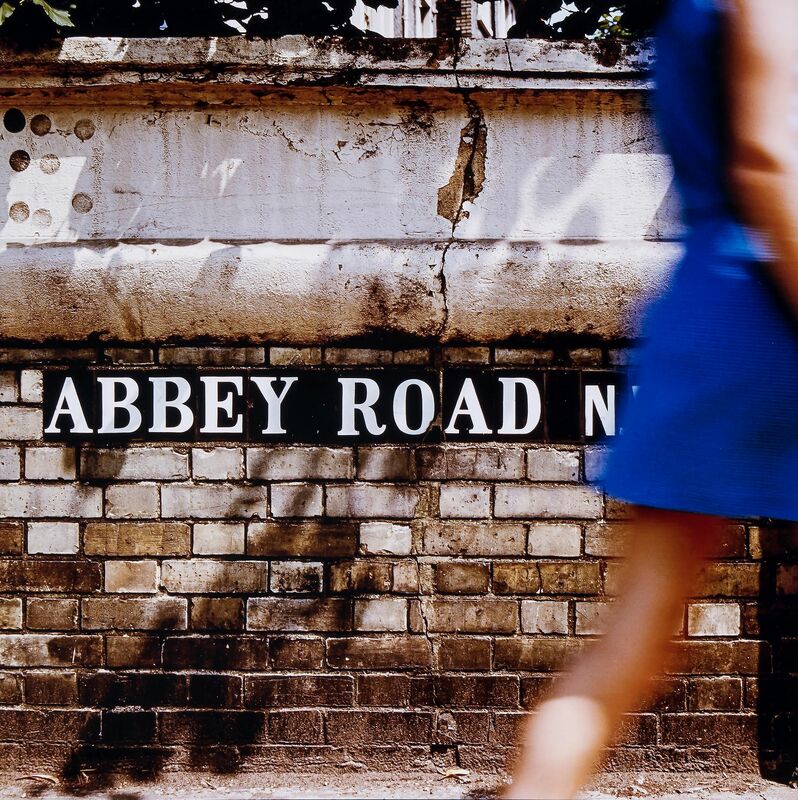 This entry was posted in Photography, The Beatles, Visual Arts and tagged Abbey Road, Abbey Road Album, Abbey Road NW8, Abbey Road Studios, Bloomsbury Auctions, George Harrison, Iain Macmillan, John Lennon, Paul McCartney, Photography, Ringo Starr, The Beatles, Visual Arts, Yoko Ono.